that's very nice of her to send you the book! looks like an interesting read! wee I'm fc again after long long time! congrats! havent read her books b4. gotta read it soon. Congratz eh! I'm into reading book recently too (if im not tool ate to become ulat buku)..hehehehe! well..u read and share with us..thx.. Her books really reflect the true Malaysia and Malaysian! Honk If you are Malaysia? Gonna go grab that book! :) Let's see if I'm gonna laugh or smile. she of the eh poh nim fame in the Star papers? 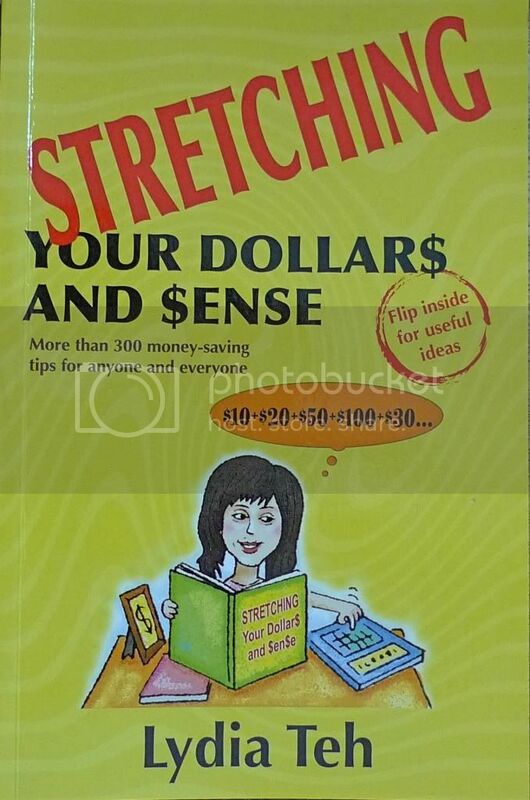 I'm sure the tips in this book would be helpful since it's written by a local writer in a local context. Happy reading! elaine tam, thanks! It's never too late to be a "ulat buku" but nobody asks you to be a bookworm! All read and no play is no fun either! haha! superman, yes her book indeed shares the true malaysian value, maybe a good book to promote 1Malaysia! LOL! Lydia is an aspiring and established writer. i've always enjoyed her articles on 'the star'. 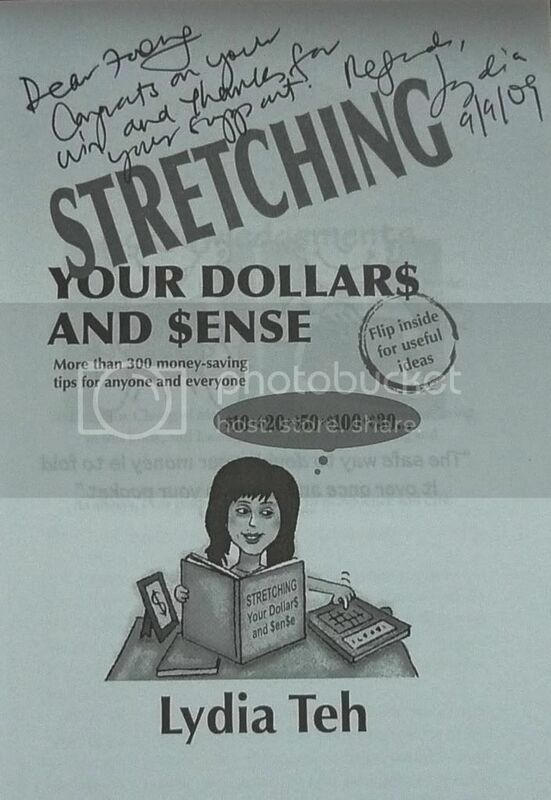 so this is her latest book? honestly, i've not read any of her books. teruklah me. happy reading and enjoy your weekend Foong. Wow!! Congrats on ur win Foong, what a fantastic prize! Autographed some more from the author, wow wow! You're so lucky! I haven't read any of the books here Foong, good is it??? Dropping EC today! Screamyx so damn slow this whole week I wonder why! Arh D: that's some intriguing book you have there!! oh foong, u lucky fella! I've flipped thru her books in bookstores..hahahaa.. n from wat i see, i like. just that i've never purchased any of her works yet. 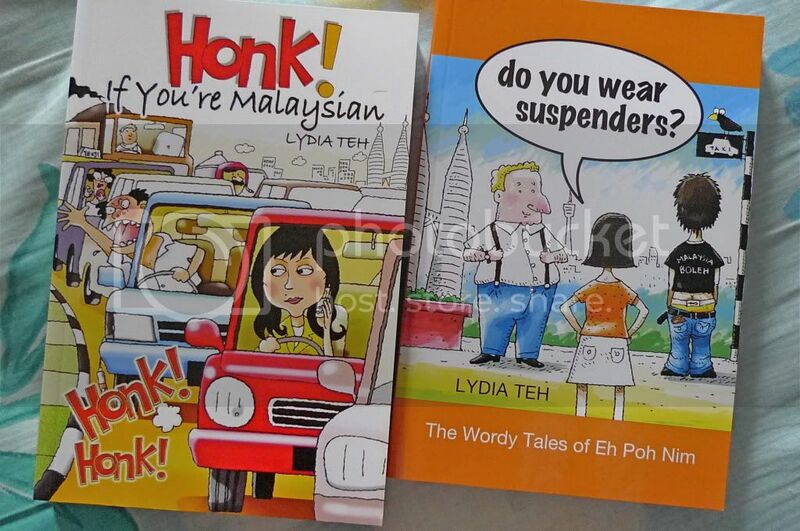 i like the 'honk' book..
Looks like I have to brush up on some reading on books by Malaysian writers. The covers of her books are so cute. I hardly read books by Malaysian authors, they are mostly Americans and British authors. I bet those are real cool. Perhaps you should blog about the best part of the book(s) when you finish them :). just read throught the comments..
everyone says her book is nice..
mariuca, thanks! Yes, her books are really enjoyable to read! Funny and entertaining. Screamyx? Haha! Is that a typo or you purposely call it like that? Maybe we should call it Screamyx instead of Streamyx. Sure makes you want to scream when the connection is slow! LOL! You said the book contains info on garbage enzyme? Garbage enzyme is strictly for external use only. I can't imagine someone uses it for brushing teeth! really nice of her to send you the book! looks interesting! hi foong thanks for dropping by at my "song to remember"
jam, that's what I heard from my mom's friend! Maybe I heard wrongly? 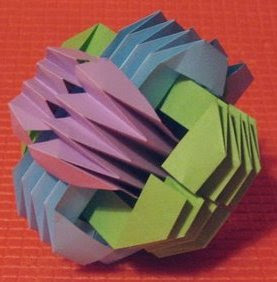 ayie, yeah, nice paper transformer! Haha! I haven't read these books yet.. but sounds really interesting! Hi Foong, Thanks so much for helping me promote my books. I appreciate your help. Seems like lots of your blog readers haven't come across my books, and now thanks to you, they may go out and buy them :) Happy reading,guys. As for Eh Poh Nim, she hasn't been very active in The Star as I'd been really busy. But I hope to knock out a couple of pieces soon.